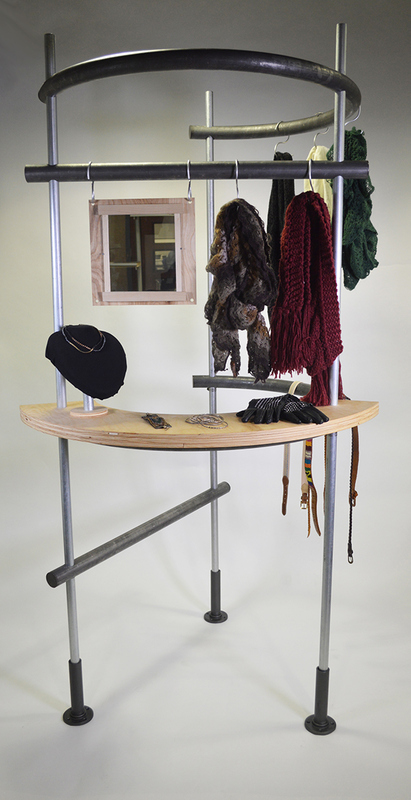 This was a collaborative design with two other designers. 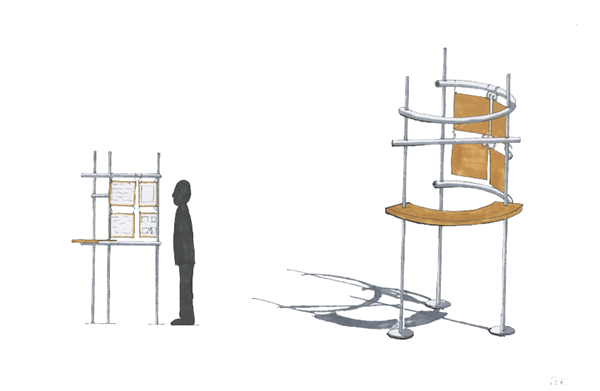 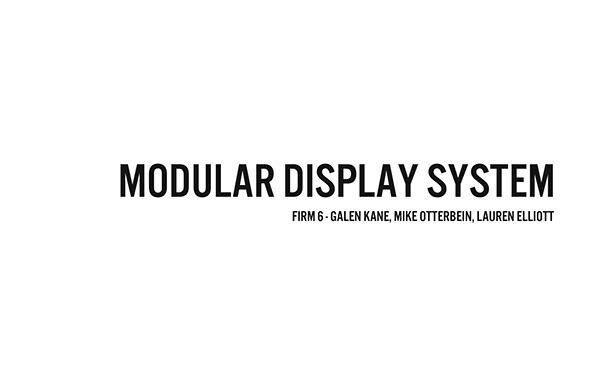 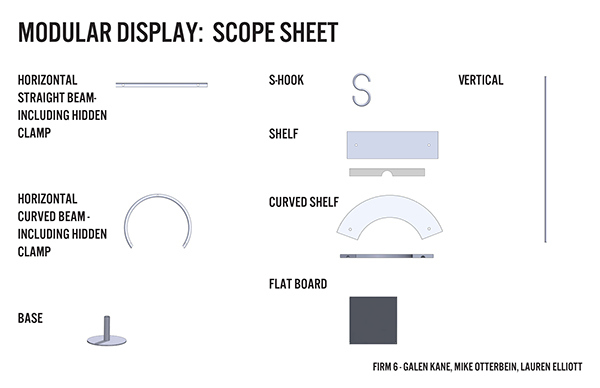 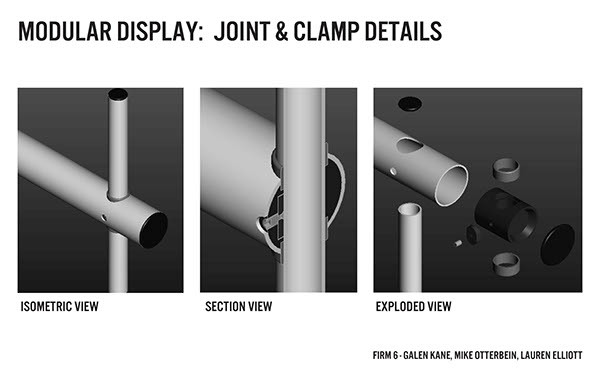 We were tasked with designing a display system that uses modular components. 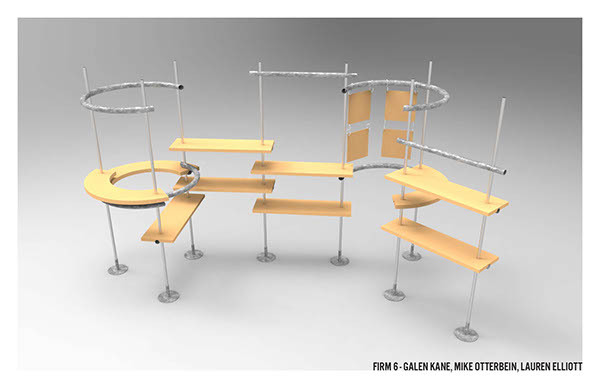 Enabling it to be arranged in many different configurations by simply adding on more parts and arranging as needed to accommodate a wide range of retail environments. 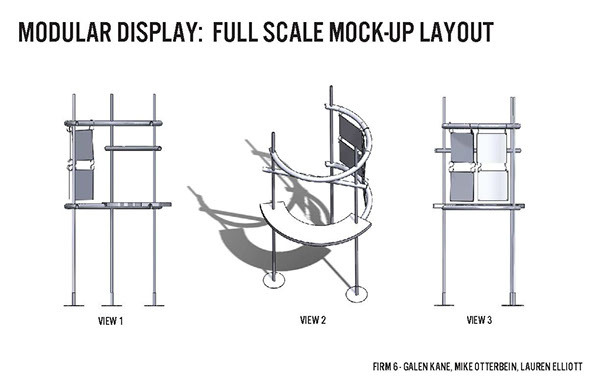 Below are pictures of the full scale unit. 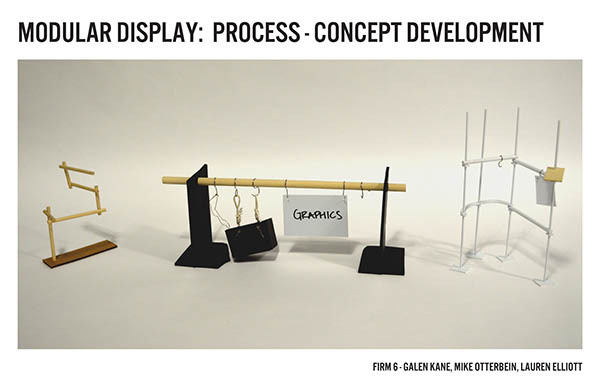 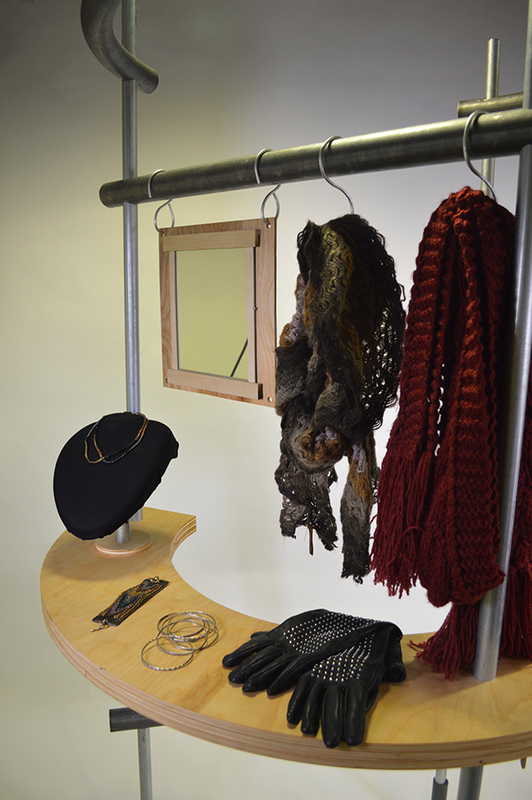 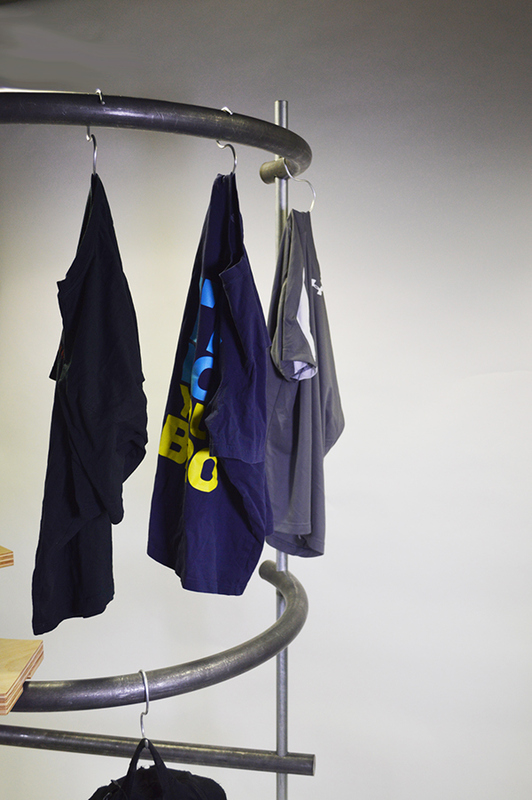 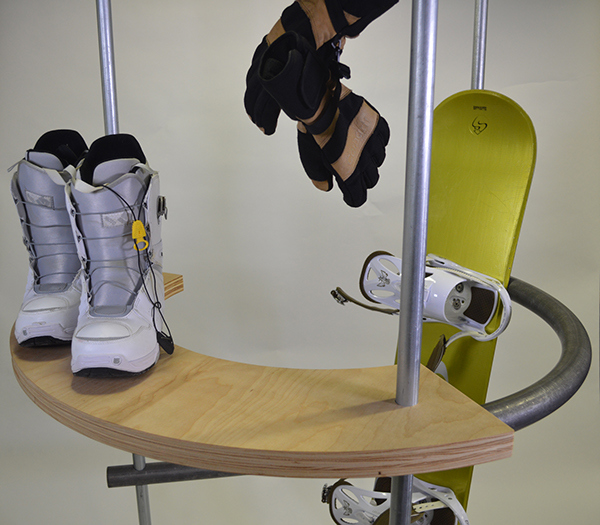 It shows different retail scenarios that our modular display could be used for, from apparel to sporting goods.